Corresponding author at: Sri Ramachandra Medical College and Research Institute, Porur, Chennai 600116, India. Table 1. Laboratory based staging for clinical studies using a single diagnostic sample. In 2008, World Health Organization (WHO) experts agreed that “dengue is one disease entity with different clinical presentations and often with unpredictable clinical evolution and outcome”.1 The development of a spectrum of laboratory methods to detect the first of seven non-structural proteins in dengue virus, NS1 (non-structural protein-1) leads us toward an opportunity to observe the features of dengue during viremic phase which corresponds to the first 3 days of illness.1 Prior to the availability of NS1 antigen assays for detection of dengue, the illness was confirmed only after the detection of IgM and (or) IgG antibodies. This also helps us infer that studies on dengue fever using positive serology as part of dengue case definition would have identified only features of dengue in the immune phase of the illness. Though inference based on paired sera is the ideal way to confirm dengue, our limited experience in dengue indicates that the concept of utilizing paired sera in dengue diagnosis is difficult to practice since obtaining a sample beyond the 10th day of illness in a patient who is free of symptoms raises consent related issues.2,3 WHO recommends classification of dengue as dengue fever±warning signs and severe dengue.1 We suggest a further laboratory based categorization for dengue illness (both WHO categories) using a single diagnostic sample incorporating aspects related to dengue pathogenesis. A brief overview on the immunology of dengue may help in understanding our classification.1,4 Dengue fever is characterized by an initial viremic phase which corresponds to the first 3 days of illness followed by immune phase (also called critical phase) spanning from 3rd to 6th day of illness. The phase of dengue beyond 6th day of illness is called recovery phase (though a sizable number of patients take longer to recover). When the dengue virus infects a previously non-infected person, it is inferred as primary dengue infection [PDI]. A patient with PDI will demonstrate NS1 antigen till the 3rd day of illness (sometimes as long as the 9th day), IgM antibodies detectable beyond the 3rd day of illness and IgG beyond the 7th day of illness. Though IgM and IgG are detectable by the 7th day of PDI, the dominant antibody is IgM as demonstrated by IgM/IgG optical density ratio of more than the assay cut-off value (studies have used a cut-off value of >1.2 with patient sera in 1/100 dilution or >1.4 with patient sera in 1/20 dilution).5 When the dengue virus infects a person who had been previously infected by a different dengue serotype it is said to be secondary dengue infection [SDI]. The detection of NS1 in SDI is timed similar to PDI. However an anamnestic IgG response occurs at the onset of SDI earlier to the appearance of IgM antibodies making the onset of the immune phase concomitant with the viremic phase. The challenge in identifying SDI is complicated by two factors. First, a slow IgM rise (sometimes not detectable) during convalescence in SDI. Second, IgG is being the dominant antibody in SDI. These make IgM/IgG optical density ratio less than the assay dependent cut-off value as a laboratory hallmark of SDI. Though serial monitoring of IgG titers helps in SDI diagnosis, the concept is infrequently practised. Studying dengue illness after categorizing it as viremic phase, viremia-immune overlap phase, and immune phase (Table 1) will facilitate better understanding of occurrence and progression of clinical symptoms, signs and laboratory findings. Obtaining these information (especially course of thrombocytopenia and organ dysfunction) gains critical importance since it may help us predicting the course of the illness with current therapies for dengue fever. Laboratory based staging for clinical studies using a single diagnostic sample. IgM and IgG detection by enzyme-linked immunosorbent assay (ELISA). NS1 detection by ELISA (further scientific inputs required). Dengue-guidelines for diagnosis treatment prevention and control. M.E. Bhaskar, S. Moorthy, N.S. Kumar, P. Arthur. Dengue haemorrhagic fever among adults—an observational study in Chennai, south India. E. Bhaskar, G. Sowmya, S. Moorthy. Musculoskeletal manifestations of dengue fever: is there a changing pattern?. C.L. Kao, C.C. King, D.Y. Chao, H.L. Wu, G.J. Chang. 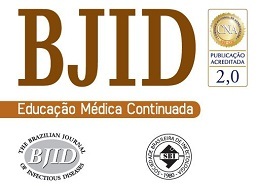 Laboratory diagnosis of dengue virus infection: current and future perspectives in clinical diagnosis and public health. A.K. Falconar, E. de Plata, C.M. Romero-Vivas. Altered enzyme-linked immunosorbent assay immunoglobulin M (IgM)/IgG optical density ratios can correctly classify all primary or secondary dengue virus infections 1 day after the onset of symptoms, when all of the viruses can be isolated. M.G. Guzman, T. Jaenisch, R. Gaczkowski, et al. Multi-country evaluation of the sensitivity and specificity of two commercially-available NS1 ELISA assays for dengue diagnosis. D.W. Vaughn, S. Green, S. Kalayanarooj, et al. Dengue in the early febrile phase: viremia and antibody responses.